Donato Dozzy prefers to travel the labels of the world instead of staying faithful to selected ones. 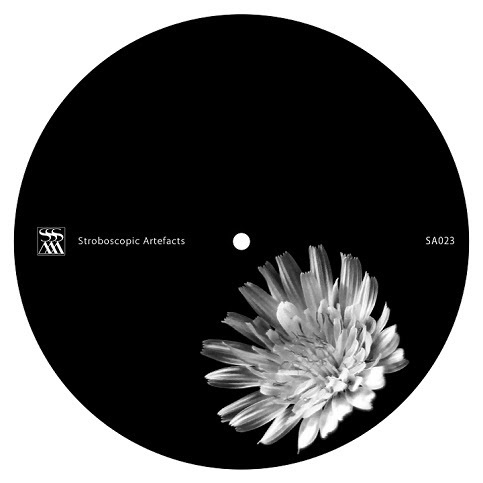 Now he pursues a Berlin-Italian connection with the solo premiere on Lucy’s Stroboscopic Artefacts, after having contributed earlier with a remix. The four-track EP plays with techno’s various sub-streams and gets a witchcraft-inspired start with “Il Canto Della Maga”, a dark half-ambient penetration with howling fairies and Metasplice-style chime cascades that would rather belong to the label’s “Stellate” series. Actually it can be regarded as the intro to tribal magic when, without any hesitation, genuine dance instincts are animated by swirling and slapping “Il Canto Della Maga Part II”. The B-side displays the impact of repetition and dissonance, especially in bassful “Terzo Giorno” which in a way reminds of Dozzy’s 2013 collab on Outis Music, and in “Sotto Ma Sotto”, another proof of the Italian’s skills in loop engineering. And the floors are cheering.